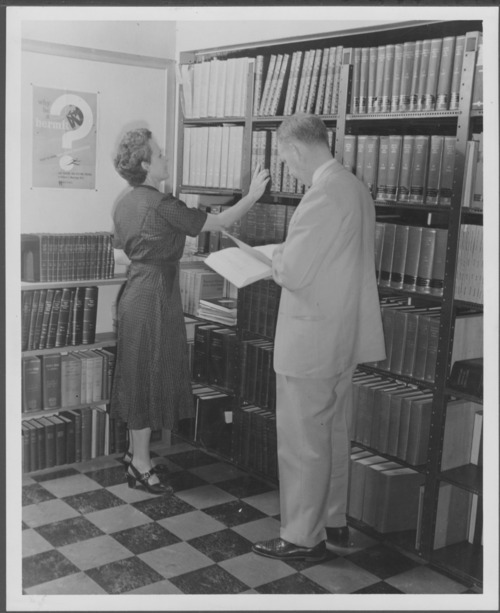 The Professional Library was established with books from the collections of Dr. Karl and Dr. Will Menninger. It was first located on the East Campus, but moved to the West Campus in September 1964. Two unidentified people are shown in this black and white photograph.